Radical! The Second New Wave Fest is happening Saturday April 13th, 2019. 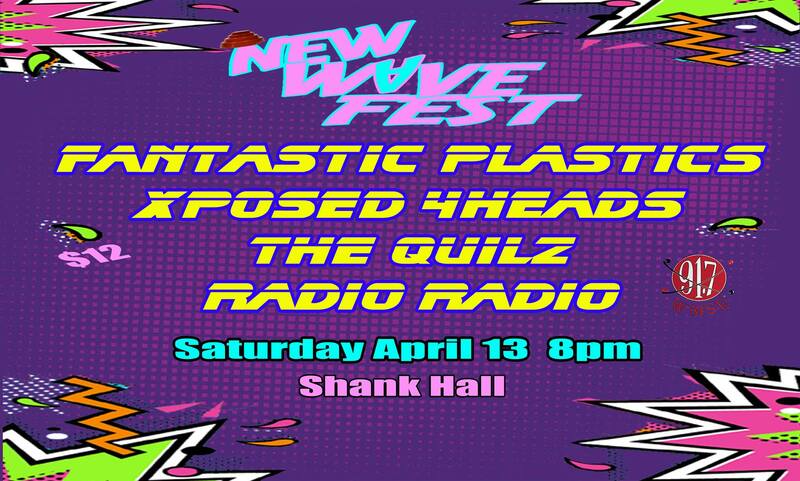 New Wave Fest is proud to present an evening of high-energy retro future sounds from national and local bands that bring the 80’s into today! The line up will include the SXSW, Van’s Warped Tour duo The Fantastic Plastics, the legendary Xposed 4Heads, Dream Pop duo, The Quilz and local New Wave favorites Radio Radio. Don’t be a poseur! Dress New Wave!